Get top results. Does not matter what size your project is. Get it all done. Your ceilings and walls serviced quick. Veteran and friendly work staff. Free job quotes. Reliable yet affordable. Your project will be done right. Are there new walls and ceilings in the near future at your home? Maybe your house just has a few areas where the ceiling or wall need fixing. These folks specialize in drywall installation and maintenance. They complete repair jobs, but they also do new construction or renovation jobs, such as when a homeowner remodels their basement. They receive quite a few calls for repair jobs. Repairs might be small and simple or substantial and time-consuming. They are here to take on any size challenge. They do their work in single family homes, multi-unit residential properties or commercial buildings. 1. Bringing the drywall sheets to the work area. 2. Putting in each sheet to the walls. 3. Cleanup and hauling away project trash and unneeded material. 4. Taping of the seams and putting on joint compound to each seam and screw area. 5. Finishing, sanding and applying texture. When these five actions are finished, your new surfaces will be ready to get painted. They can complete each of these five steps for you, or you can have them just do one or a couple of them. For example, if you’re serious about doing your own mudding and taping, you could just have them deliver it and do the installation, and you can take over from there. Or, occasionally, a property owner wants them to drive over and do the finish and final texture work on the walls and ceiling which were installed some time ago. Normal sheetrock is constructed for dry locations, it is not made for showers and bath spaces, so they have a moisture-proof board they use in those locations. Plus, they have a strong and durable cement board they employ on those walls where you plan to attach heavy tile on. They will do their best to work with your schedule. Your repair person understands that things can happen. It’s common for an appliance or a water system connection to gradually leak and ruin a ceiling. And it’s not uncommon for folks to mistakenly make a hole in a wall or ceiling. If your home has only one hole or dent, and that hole is at a place that isn’t too visible, you might like to try to repair it by yourself by putting on a patch. Most homeowner installed patches will not look too great. Wall patches normally take a little practice to learn the best way to do them right. We frequently recommend that holes or dents in the most public places of a home – living room, kitchen, dining room, etc – be carried out by a trained individual. During the last day of a repair, they work on the surface of the repaired or new finishes to make certain they match up with the surfaces of the old ceilings or walls in the rest of the room or home. Is Your Predicament Like This? Repairing or patching one or more individual holes or cracks. Repairing a few bad sheets so some areas or room can get painted. Taking out and replacing sheets of drywall damaged by moisture. Finishing the removal and replacement of a whole area or room. Frequently because of a water problem or other serious event. From little problem mending to major renovations and repairs, they have the experience doing it. Fully unfinished surface – merely taped, suitable for unfinished work places or garage areas. Smooth surface finish – zero extra texture, waiting for painting or wallpaper. Basic texture – adds a little bit more depth. Complex texture – hand-troweled and is more tricky to do. Texture matching – your new surfaces match up with your original ones. Many people aren’t big fans of popcorn ceilings texturing. These folks can take it off and change it with a new, cleaner finish. They can take on your project, from start to finish. They strive to hold costs affordable while delivering results their clients appreciate. They have the top equipment and tools to finish your project safely and quickly. And all the products they install at your house are durable and strong. Concerned about the mess? 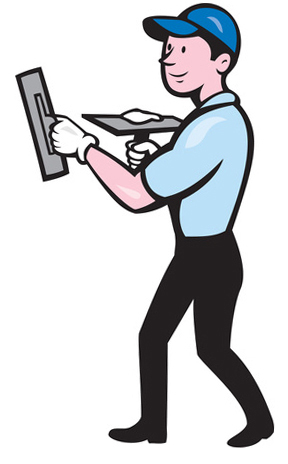 Most renovations and repairs produce a some clutter and dust. They do everything possible to maintain the dirt and dust they generate separated into one area only. Once your job is completed, they haul out all the junk they made and all the unneeded materials. The majority of these assignments are done in residential houses, but they do a great deal of work at industrial or commercial operations as well. They do work for local homeowners and commercial property managers, building contractors and landlords. Maybe they can do a job for you. Most projects are not exactly alike, but they will come up with a quote for yours. Your total cost depends upon some different variables, but it mostly comes down to materials used and work hours. It isn’t always realistic to see the potential project site and give an estimate in person, but they can generally give a sensible quote on the phone if you would give them a call. If you want them to get started on the priming and painting as soon as the installing or repairs are completed, they can get that started too. 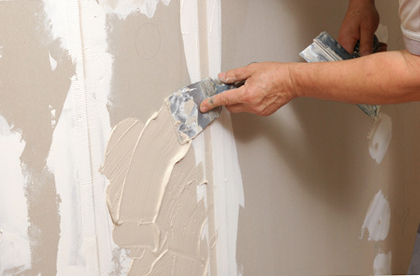 If you’re planning on hiring a separate painting contractor, that’s okay with them too. What Neighborhoods Do They Work In? They work all over the Vancouver metro area. Here is a sampling of the areas they service: Bagley Downs, Bennington, Burton Evergreen, Carter Park, Cascade Highlands, Central Park, Columbia Way, Countryside Woods, Edgewood Park, Ellsworth, Esther Short, Evergreen Highlands, Fircrest, First Place, Fishers Landing East, Five Corners, Fruit Valley, Harney Heights, Hazel Dell, Hearthwood, Hough, Hudsons Bay, Image, Kevanna Park, Landover Sharmel, Lincoln, Marrion, Mill Plain, Minnehaha, Mountain View, North Image, Northcrest, Northfield, Northwood, Oakbrook, Ogden, Rose Village, South Cliff and Vancouver Heights. Do You Work in My Area? They work on homes and businesses all around southwest Washington. This includes the downtown and central areas of the city and out to almost all the suburbs and down to the Oregon state line. Some of the areas they service include: Bagley Downs, Bennington, Burton Evergreen, Burton Ridge, Carter Park, Cascade Park East, Cascade Park West, Central Park, Columbia Way, Countryside Woods, Edgewood Park, Ellsworth, Ellsworth Springs, Esther Short, Evergreen Highlands, Fircrest, First Place, Fishers Landing, Five Corners, Fruit Valley, Harney Heights, Hazel Dell, Hearthwood, Hough, Hudsons Bay, Image, Kevanna Park, Landover-Sharmel, Lincoln, Marrion, Mill Plain, Minnehaha, Mountain View, North Image, Northcrest, Northfield, Northwood, Oakbrook, Ogden, Pacific Park, Parkside, Rose Village, South Cliff and Vancouver Heights.